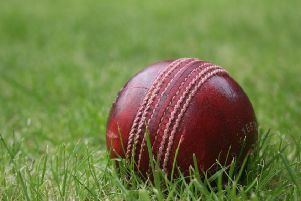 Victory in their bottom-of-the-table clash gave Egerton Park’s Second XI hope of avoiding the drop into Division Seven. It should have been plain sailing as Park put Cosby in to bat and after 16 overs had the visitors reeling at 22-8 with Creed taking five wickets and the veteran Webster three. But the Cosby tail wagged and thanks to opener J. Smith (43), they set the Melton side 88 for victory with young Alex Barber taking the last wicket. After Beeken fell early, Park looked to be coasting home at 50-1, but things turned on their head when Cook and Hurst took five wickets for only 12 runs, leaving nerves jangling in the home dressing room. But the old head of skipper Greg Tyler and the youthful flair of Connor McNeight saw them home, giving them an outside chance of staying up. Bowling: Creed 12-3-20-6; Webster 12-7-8-3; Barber 6.2-1-17-1; Rodenby 10-0-26-0; Beeken 2-0-5-0. Egerton Park: Bates 25, Beeken 3, Burdett 27, Lees 4, Bailey 6, Tyler 14*, Creed 0, McNeight 2*, Extras 7. Total: 88-6.